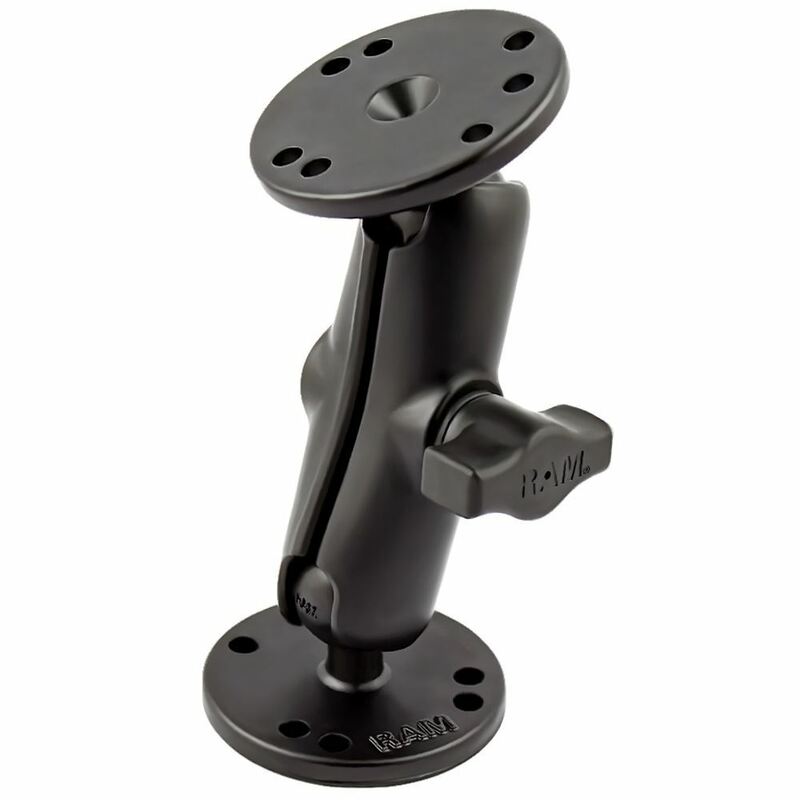 The RAM-B-101U by RAM Mounts consists of a Medium Length B size 1" double socket arm and two 2.5" diameter round plates that contain the universal AMPS hole pattern. The RAM-B-101U by RAM Mounts consists of a Medium Length B size 1" double socket arm and two 2.5" diameter round plates that contain the universal AMPS hole pattern. The mount is designed with a patented rubber ball and socket system that dampens shock and vibration and allows for almost infinite adjustment to achieve the perfect viewing angle. The AMPs hole pattern found on the round plate will connect to many RAM products.